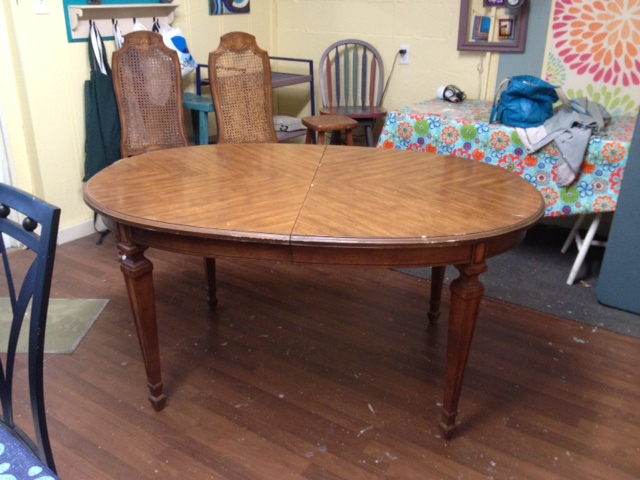 I purchased this table and 4 chairs at This That & More Flea Market. 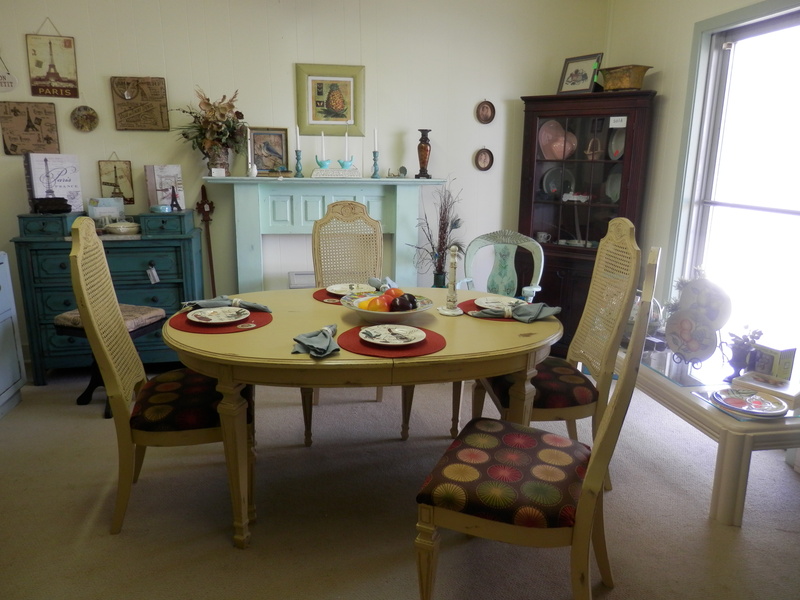 The designs on the top of the chairs and on the legs of both the chairs and the table were my favorite part when I bought them. However I was wishing for less grooves when I was doing the sanding because it was exhausting. But I do love the way they came out. 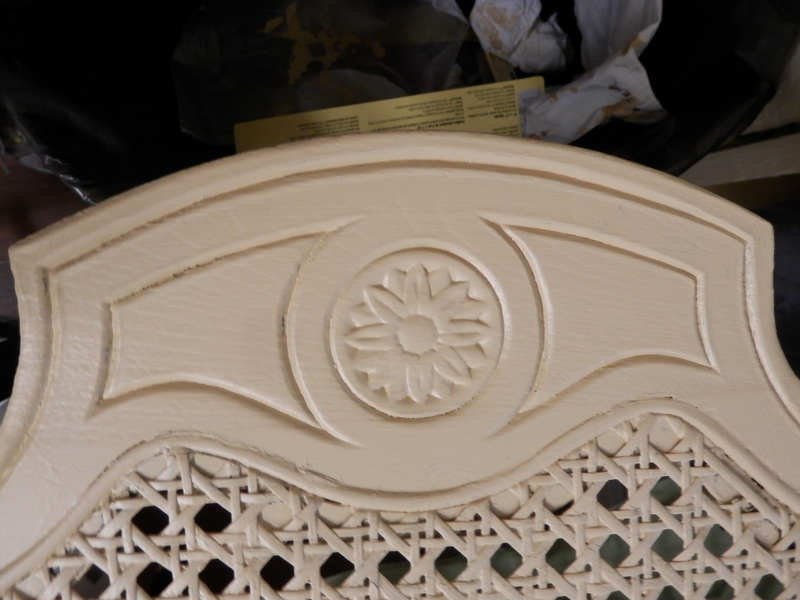 The flower type fabric goes well with the flower design on the chair. 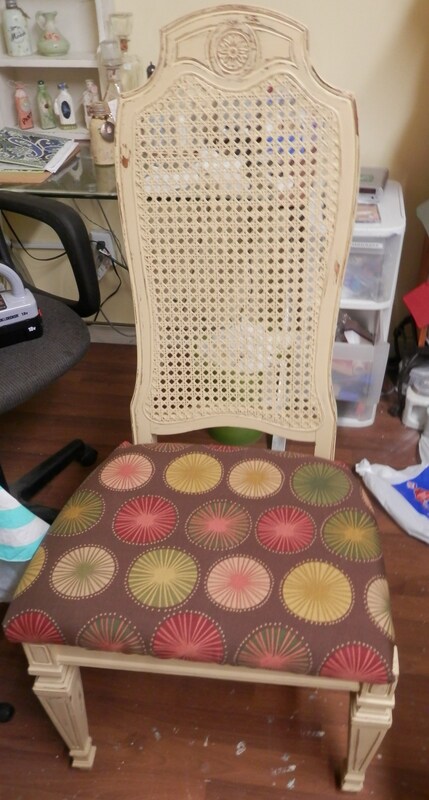 I found the fabric at Joann’s and wasn’t sure I liked it till the whole project was complete. This set was in my shop for less than a week. My sister and her husband just moved to my hometown and decided to buy it for their kitchen/dining area. I’ll post what it looks like in her kitchen soon. I am so glad I get to still enjoy it when I go to my sister’s after putting so much work into it. 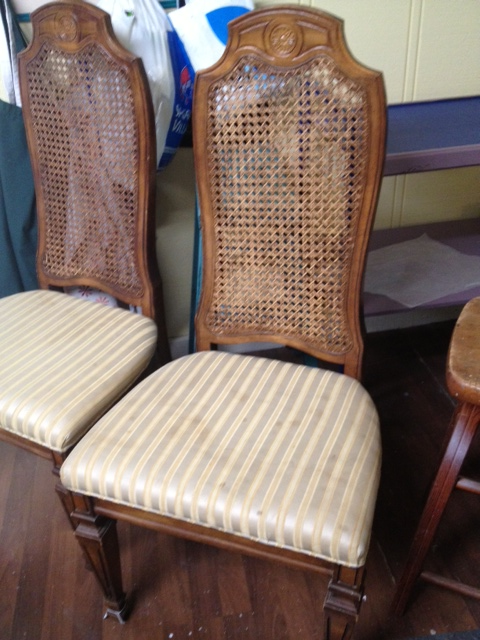 I bought 6 chairs from “This That & More Flea Market” to use for our restaurant. I was just going to change out the seats and leave the wood alone because they weren’t in bad shape. 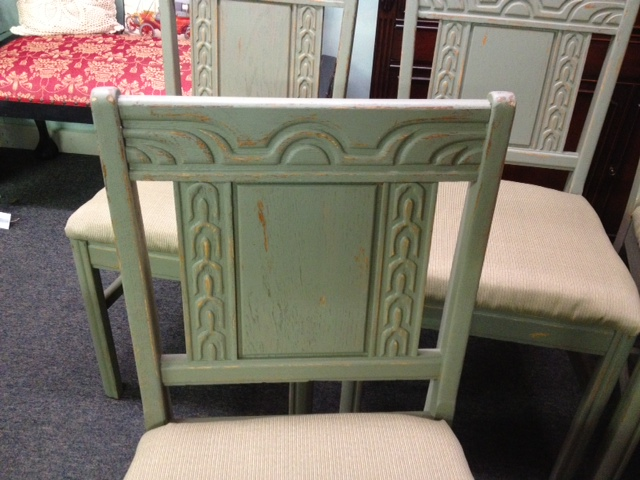 I kept thinking… Do I really want to redo 6 chairs? – I have so many other projects I have to work on right now for the shop. 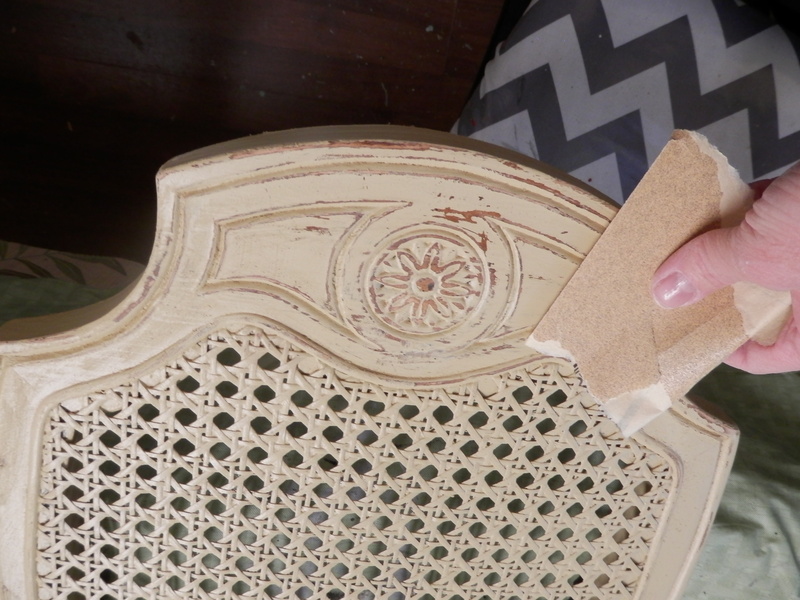 But as I cleaned them up I kept noticing the wood designs and detail and just couldn’t pass up painting & distressing them. 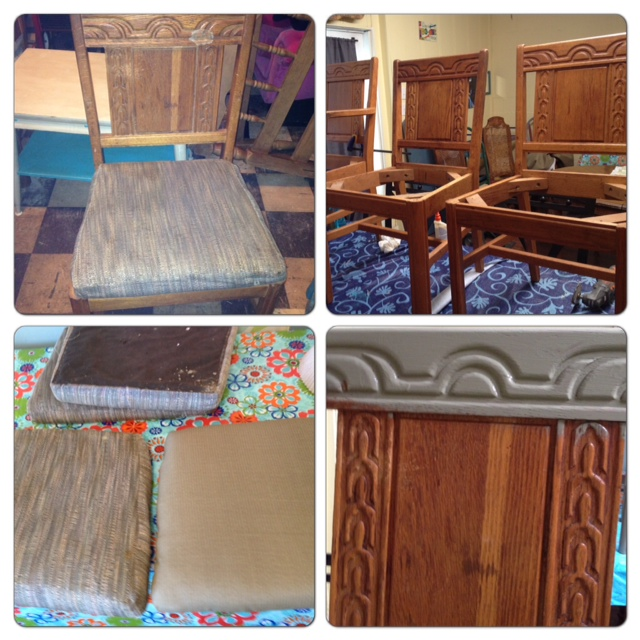 This collage shows some of the process they went through. A big thanks to my husband who made completely new boards for the seats so I could throw away the old ones and not have to fool with the disintegrating foam and thousands of staples. 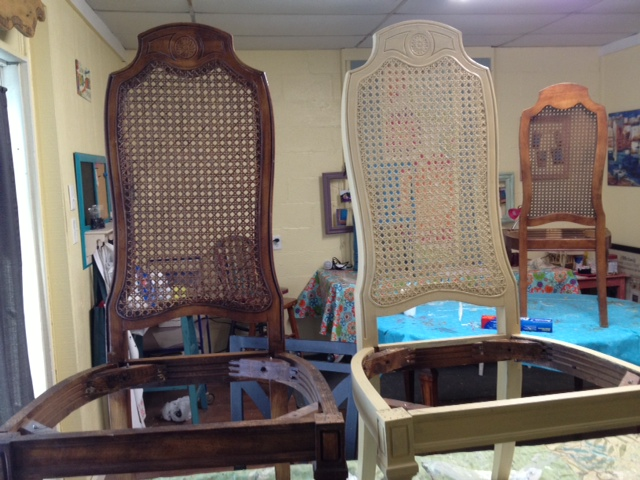 The finished chairs are ready now for Country Kitchen customers to sit and enjoy a hearty meal! I just have to decide which table to put them around.